Mickey is notable for being almost entirely brick-built. 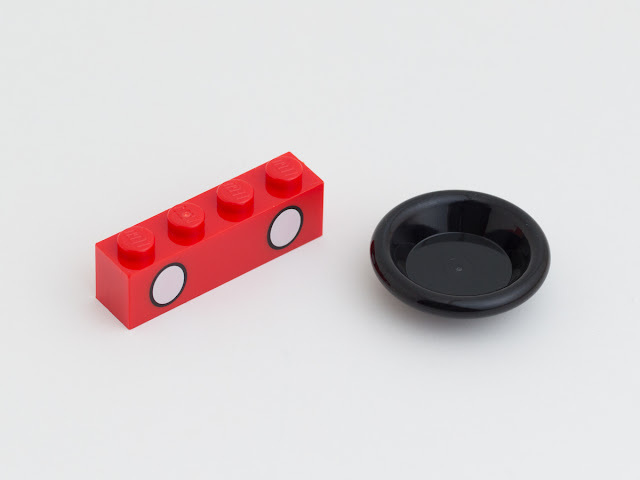 He includes only one recolour: Dish Ø24 in Black (Element ID: 6236780 | Design ID: 6256), two of which are used for his perfectly round ears. 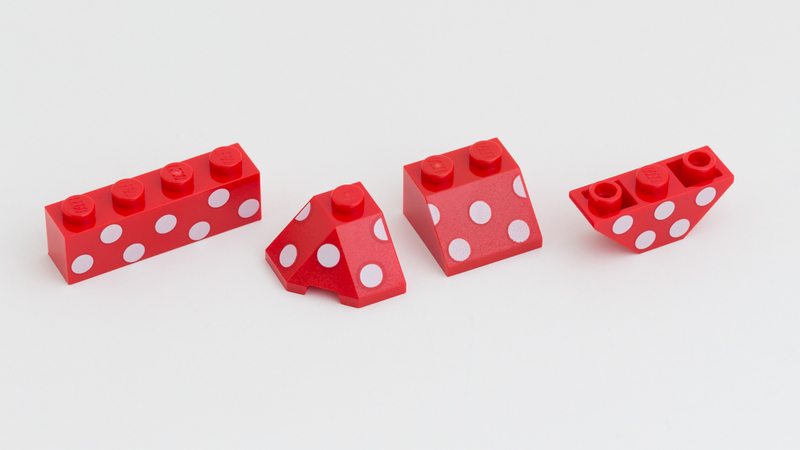 There’s also one new printed part: a Bright Red [TLG] / Red [BL] 1x4 brick printed with white buttons (6245176 | 42119). 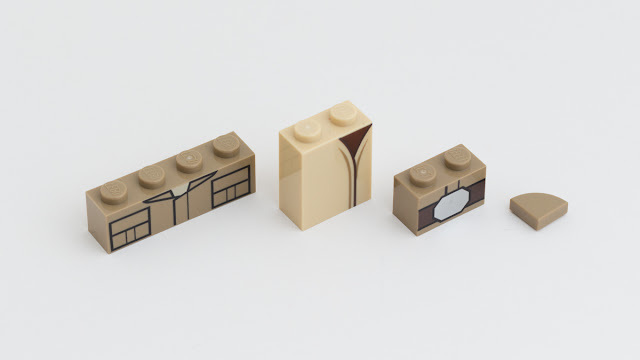 This brick is simple enough in design to be used in other creations, perhaps as eyes or drawers. Minnie uses the same black dish recolour (6236780 | 6256) for her ears and, like Mickey, does not include any other recolours. 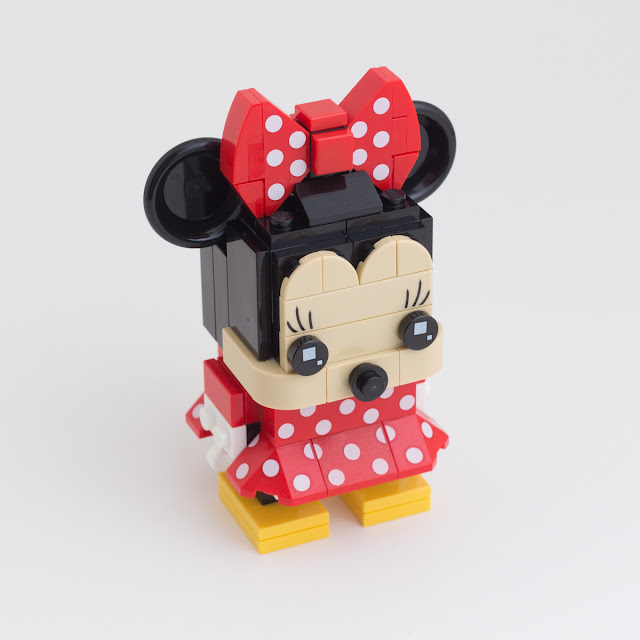 However, Minnie is particularly interesting because she comes with a complete set of red polka-dotted bricks: four 2x2 45º corner slopes (6245200 | 42046); two 1x4 bricks (6245194 | 42208); two 1x3 double-inverted slopes (6245180 | 42201) and one 2x2 45º slope (6245197 | 42211). The dot pattern on the slopes perfectly lines up, and it’s clear that these bricks can be used imaginatively for many different things. Minnie includes one additional print: a Brick Yellow [TLG] / Tan [BL] 1x4 tile with an eyelash pattern. It’s perhaps less flexible than the polka-dot printed bricks, but will surely find use in custom BrickHeadz. The new printed parts in this set are impressive. Two Sand Yellow 1x4 bricks with distinct bark patterning make up Groot’s chest (6245930 | 42626; 6245944 |42661). There’s also seven Sand Yellow 1x2 tiles with a simple bark pattern (6245941 | 42652), which will certainly find their way into castle walls and similar creations. Rocket includes an Earth Blue [TLG] / Dark Blue [BL] 1x3 brick that adds detail to his doublet, and Groot carries a Transparent [TLG] / Trans-Clear 1x2 tile with a handheld game print. 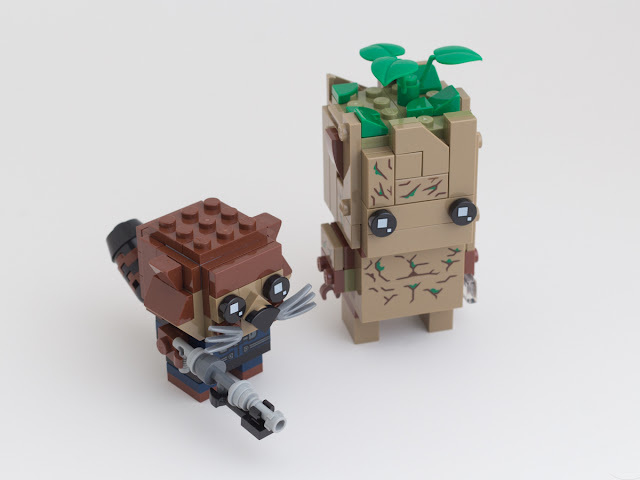 Groot & Rocket also pack in a few hard-to-find parts. There’s a 1x1 brick in Bright Bluish Green [TLG] / Dark Turquoise [BL] (6236772 | 3005) and a 1x1 barrel in Light Royal Blue [TLG] / Bright Light Blue [BL] (6215387 | 3062), both of which have appeared only once before. It also includes two 1x4 tiles in Sand Yellow, a part which appears in single quantities in just three other sets. 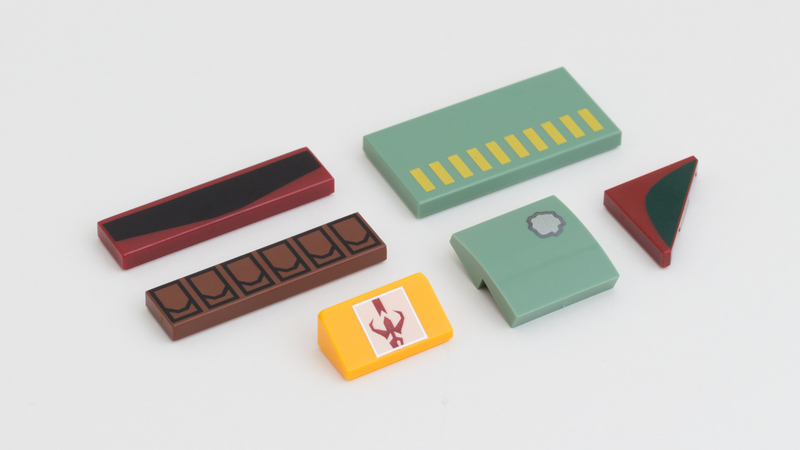 This set has just one recolour and three new printed parts. Luke’s tousled hair uses five 1/4 circle tiles in Sand Yellow (6242238 | 27269). Details of his iconic jacket are provided by two printed bricks, also in Sand Yellow: 1x4 brick with a collar and pockets (6247059 | 42801), and a 1x2 brick with a belt buckle (6247089 | 42802). And a Brick Yellow 1x2x2 brick with a simple crossover print adds detail to Yoda’s robe (6246041 | 42674). All three of the printed parts are rather specific to these characters, making them more of a challenge to repurpose in other creations. On the upside, this set includes a number of rare parts. 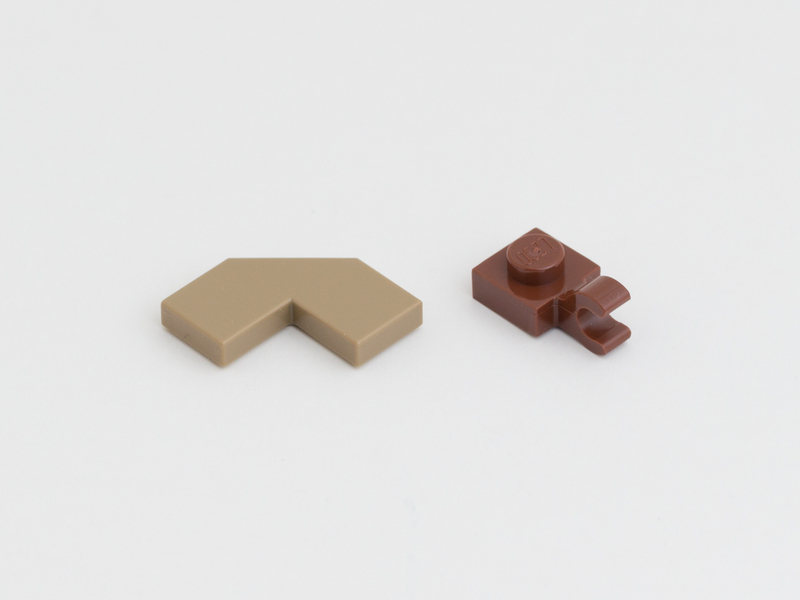 The new 1x1 lower bracket in Reddish Brown (6238874 | 36840) makes its second appearance in this set, two of which are used to add detail to Luke’s belt. 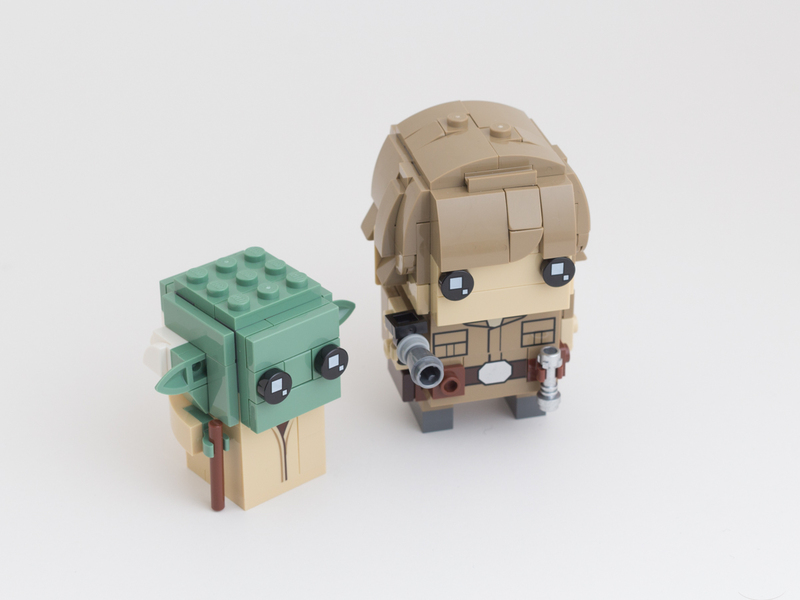 The set also uses two 1x1 plates with horizontal clip in Sand Green (6227077 | 61252) for Yoda’s hands, and two 1x1 plates with tooth in Sand Green (6186079 | 49668) for his ears. And there’s a couple of recently reissued parts, too: seven 1x1 plates in Sand Green (6099189 | 3024) and a single 1x1 tile in Sand Green (6223913 | 3070). 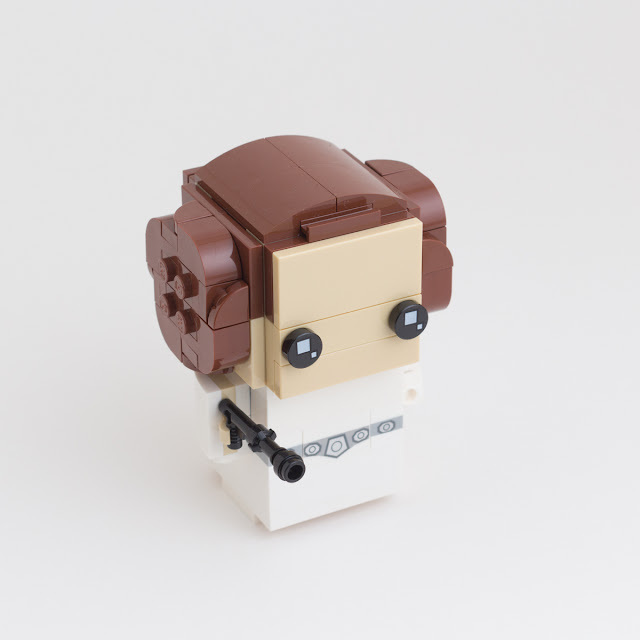 Princess Leia has predominantly brick-built details aside from her belt. 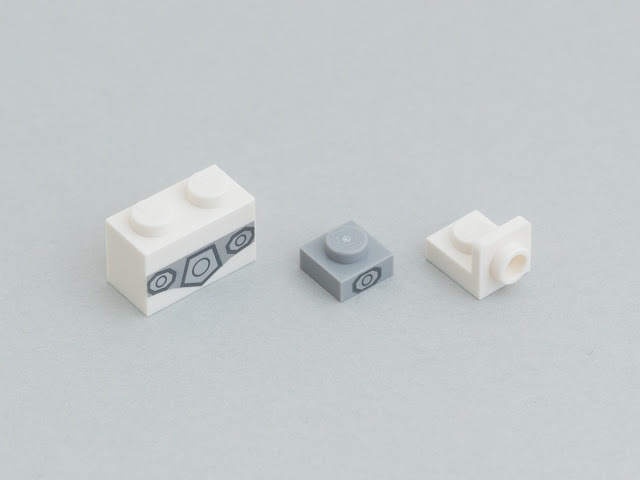 The set has a single recolour: a 1x1 lower bracket in White (6242241 | 36840) which debuted simultaneously in 75230 Porg and has since appeared in several sets. Three of these small parts are used to add a flare to the arms of her gown. Her belt consists of two unique printed parts: a White 1x2 brick with a silver buckle (6247096 | 42804) and two Medium Stone Grey [TLG] / Light Bluish Gray [BL] 1x1 plates with a silver belt detail on the side. The prints are simple and decorative, greatly expanding the possibilities for reuse. 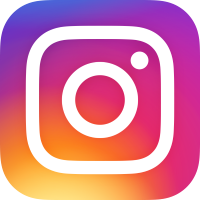 It’s easy to imagine them being used to add ornate details to walls or a high-tech element to control panels. The set also includes a rare part in good quantity: six 2x2 corner tiles in Reddish Brown (6221608 | 14719). The only other set this part has appeared in is 75952 Newt's Case of Magical Creatures. Most prints are generic enough to be repurposed for other builds (except perhaps the arm crest). In particular, I can see the Sand Green tile with yellow grille being used to add a bit of detail to industrial machinery. The printed parts may draw the most attention, but there are great two recolours: a 2x2 left wedge plate in Sand Green (6247894 | 24299), and its counterpart, a 2x2 right wedge plate in Sand Green (6247895 | 24307). The set is also notable for including two Plate 1X1 Round W/ Horizontal 3.2 Shaft (6227897 | 32828) in Medium Stone Grey, previously only available in 21311 Voltron and 10262 James Bond Aston Martin DB5 but now appearing in many sets. 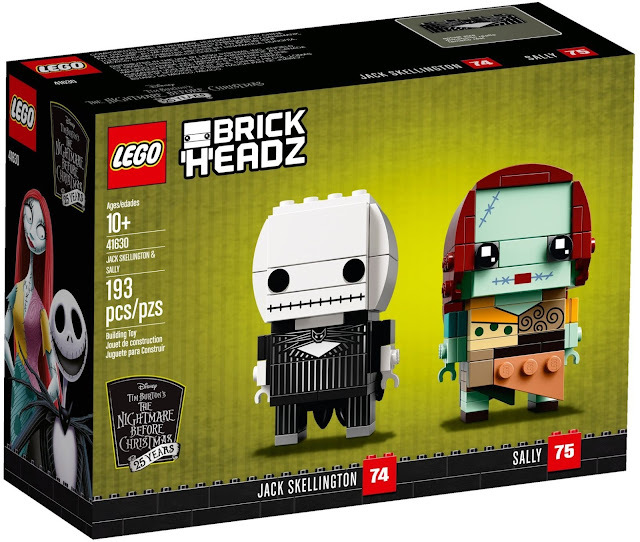 Note: Although The LEGO Group did not provide us with the following double packs, we felt it important to include an overview of them in this article... and to buy some of the parts anyway! Although this double-pack has just one recolour, it’s notable for also bringing back a long-dormant element. 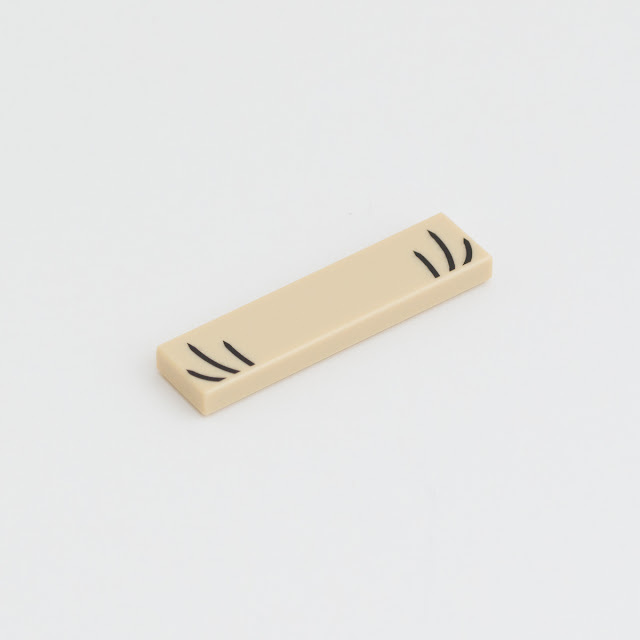 New is a Medium Nougat [TLG] / Medium Dark Flesh [BL] 1/4 circle tile (6248536 | 25269), seven of which are used to add curls to Newt’s hair. Returning after a 14-year slumber is a Sand Blue 1x2 plate (6198156 | 3023). The set includes six, and they help shape Newt’s upper body. There are four new printed parts in this double-pack. 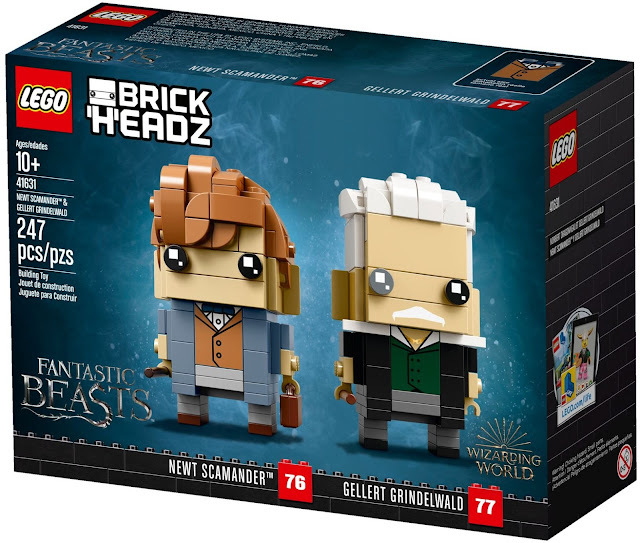 Two of them are 1x2x2 bricks with waistcoat and collar detail: Newt’s (6248544 | 44109) and Gellert’s (6245021 | 42192). Gellert is also outfitted with a Brick Yellow 1x4 tile with a white moustache print, and a Dark Stone Grey [TLG] / Dark Bluish Gray [BL] variant of the standard BrickHeadz eye tile (6245198 | 42209). 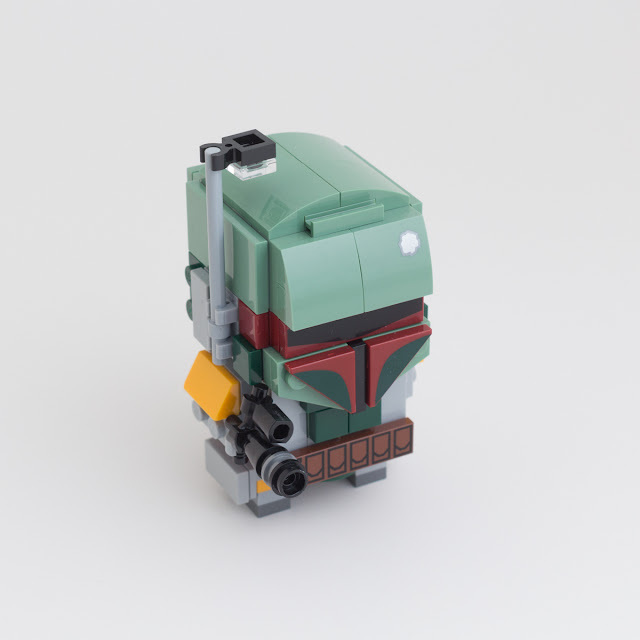 These prints have a somewhat narrow usage, but they’ll surely pop-up in custom BrickHeadz. It’s also worth mentioning that Newt’s Medium Nougat hair is made up of many newer parts, including four 2x4 plates (6093494 | 3020) and two Brick w. Arch 1x1x1 1/3 (6167645 | 6091). Sally’s Aqua [TLG] / Light Aqua [BL] face relies on two printed tiles. There’s a 2x4 tile with corner stitch pattern used for her forehead (6245351 | 42230) and a 1x4 tile with stitched mouth (6245360 | 42240). She also uses a beautiful 1x4 brick with a patchwork print for her blouse (6245348 | 42220). 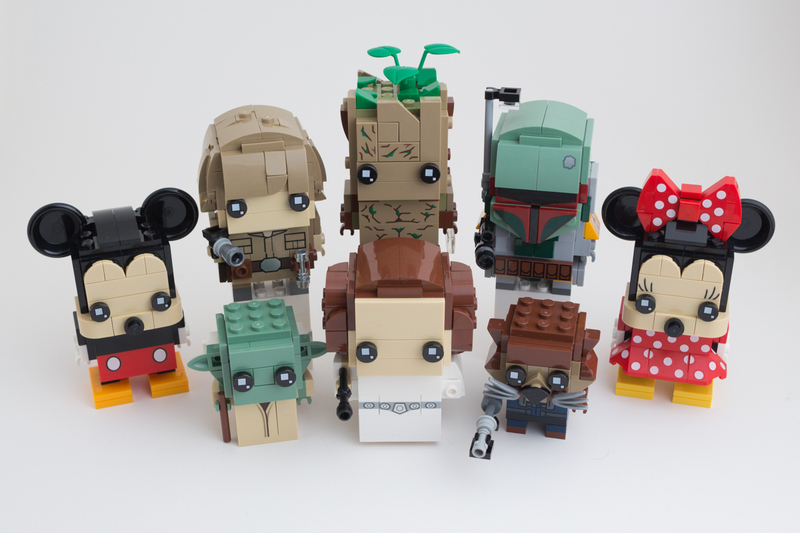 Many of these printed parts are specific to these characters (or at the very least, the BrickHeadz aesthetic). On the other hand, the pinstripe bricks are so basic they can be used to add nuance to just about any creation. 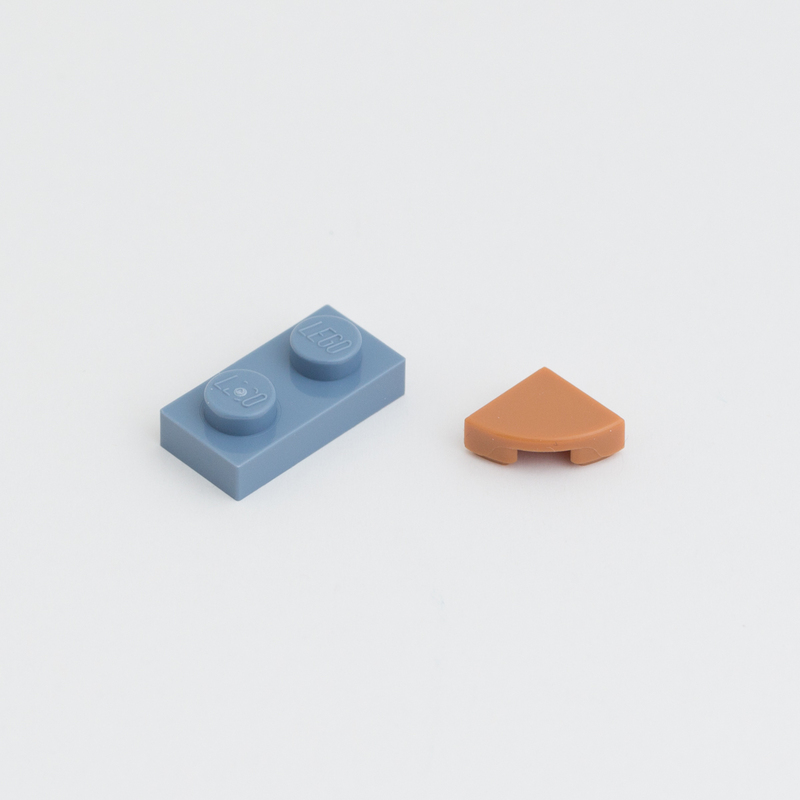 Although the printed parts in this double-pack steal the show, there are three recolours. Sally’s hands consist of two Aqua 1x2 plates with horizontal clip (6242253 | 11476), now also available as part of the 4+ range of LEGO Friends sets in 41360 Emma's Mobile Veterinary Clinic. Her dress is also made up of two different left-facing wedges plates: two 2x3 left wedge plates in Nougat [TLG] / Medium Flesh [BL] (6240643 | 43723) and two 2x2 left wedge plates in Earth Green [TLG] / Dark Green [BL] (6222411 | 24299). It’s great to see these parts in new colours (especially one as rare as Nougat), and hopefully we’ll see their right-facing counterparts soon. 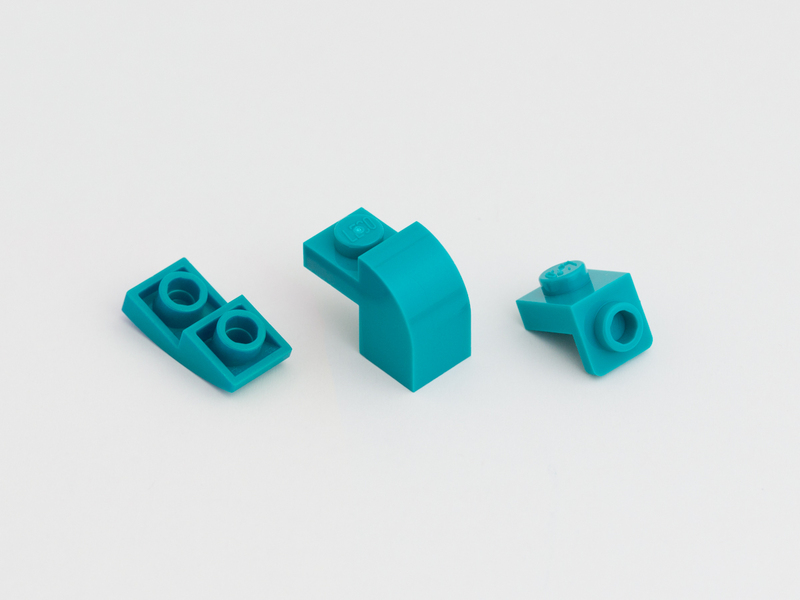 Printed parts for this double-pack are very simple in design. 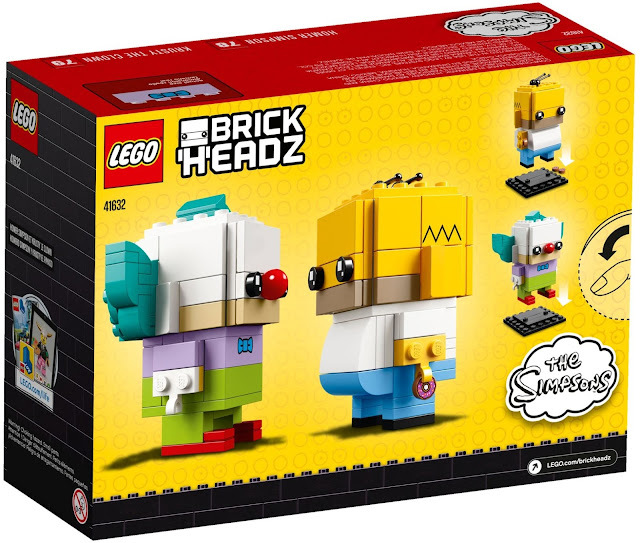 Bright Yellow [TLG] / Yellow [BL] tiles with zigzag patterns add a hair detail to Homer’s head; the 2x4 (6245183 | 42202) and 2x2 (6245178 | 42198), and a single Lavender 1x4 brick with a bowtie print (6245190 | 42206) adds a finishing touch to Krusty. Krusty’s teal hair brings us three new elements in Bright Bluish Green [TLG] / Dark Turquoise [BL]. There’s two 1x1 upper brackets (6242488 | 36841); two Brick w. Arch 1x1x1 1/3 (6213785 | 6091), and two 1x2 inverted bows (6242486 | 24201). 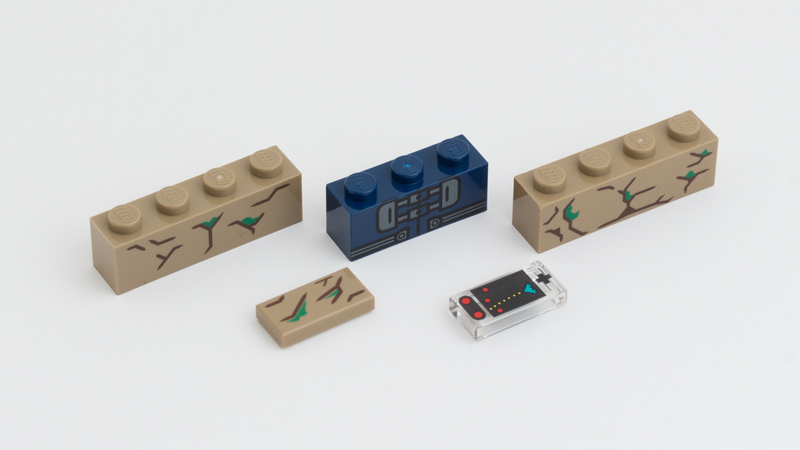 The set also includes a few other rare parts in Bright Bluish Green, including a 1x4 tile (6236770 | 2431) and two 1x2 cheese wedges (6228967 | 85984). Last fall’s BrickHeadz offer a healthy does of recolours and some welcome reissues. They’re also chockfull of interesting printed parts, many that can be repurposed for MOCs. 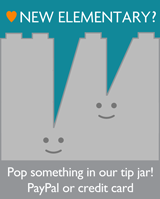 And perhaps most importantly, they remain a thrifty way to sample exciting new elements! Boba Fett is definitely my favorite to date. Grindelwald is also, surprisingly, a fantastic, if simple, rendition of the character.